In a medium sized frying pan, melt butter over medium-high heat. 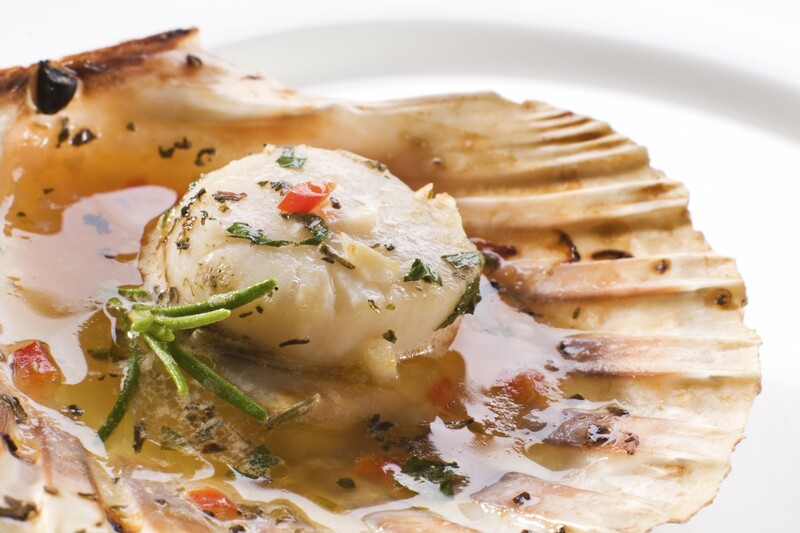 Add garlic and rosemary with the scallops. Cook for 2 minutes on each side (or until desired doneness). Remove the rosemary from pan before serving."